Iceland Pet – LEOTSAKOS I.K.E. FEX was founded the year 2000. 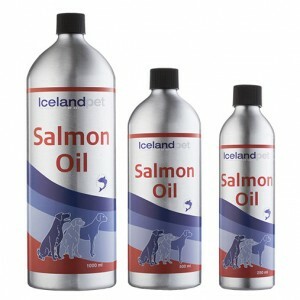 Based on the idea of producing high quality Pet Food from fresh fish. The production is situated in Þorlakshofn, an fishing village on the south coast of Iceland. The location provides great accesability to fresh raw material from the fishing boats and the fish processing plants in the area. In 2006 the company was bought by Lysi Ltd the biggest producer of fishoils for human consumption in the world. Lysi Ltd is a well know company with high qualiity R&D department, giving us access to highly educated research personel, helping us keeping the quality of our products first class. Leotsakos I.K.E. is Iceland Pet ‘s exclusive representative in greek & Cyprus market since 2015.